New Initiative!! (see right) Backpacks for the formerly imprisoned. Donate new or high-quality old backpacks, cell phones, hygiene products, journals, hats, scarves, or underwear. 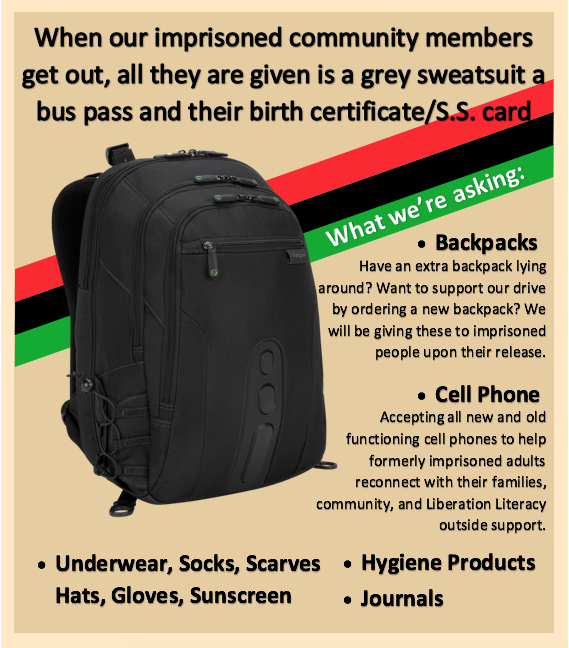 Email liberation.literacy@gmail.com for more information about where these items can be dropped off.